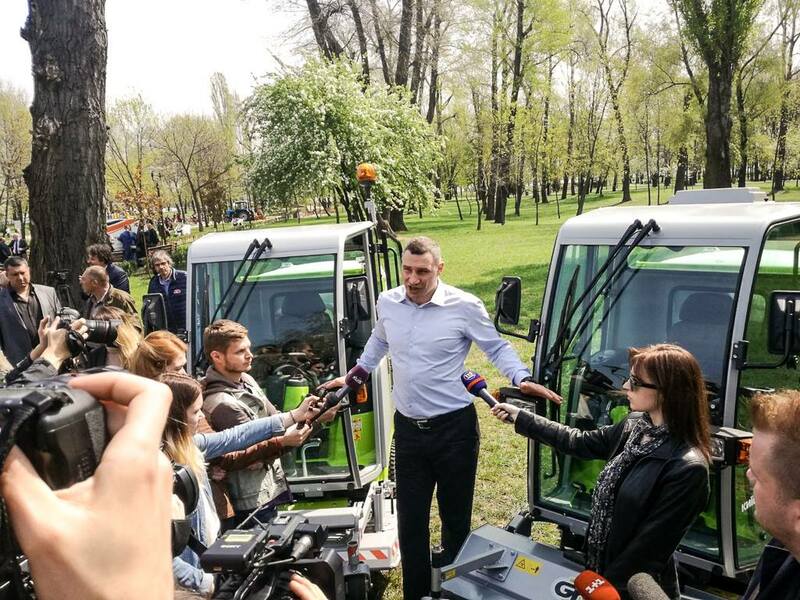 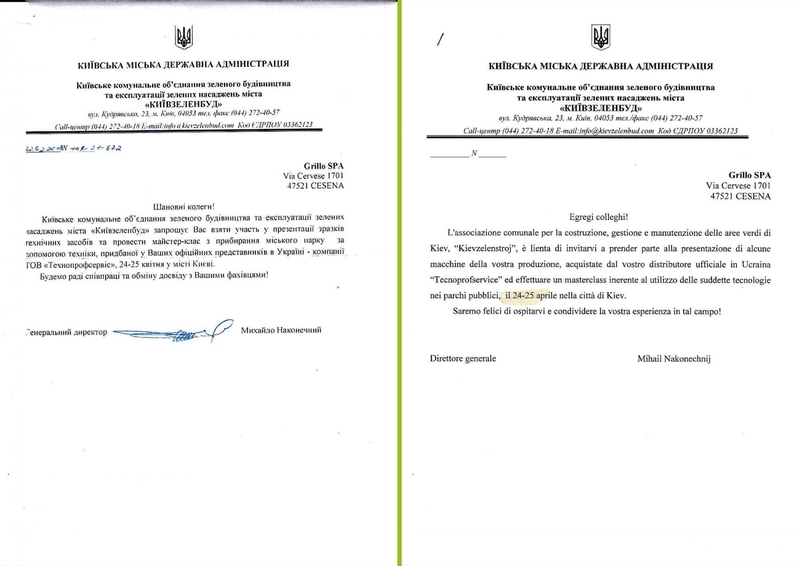 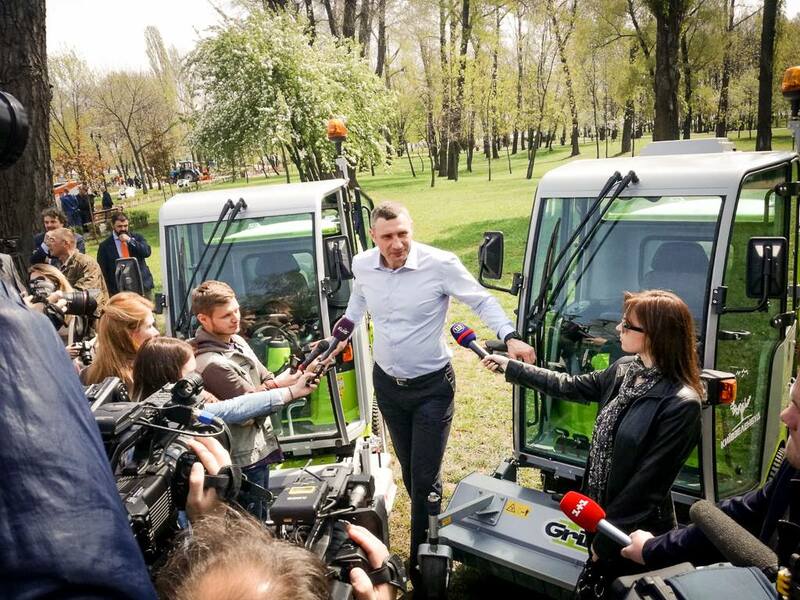 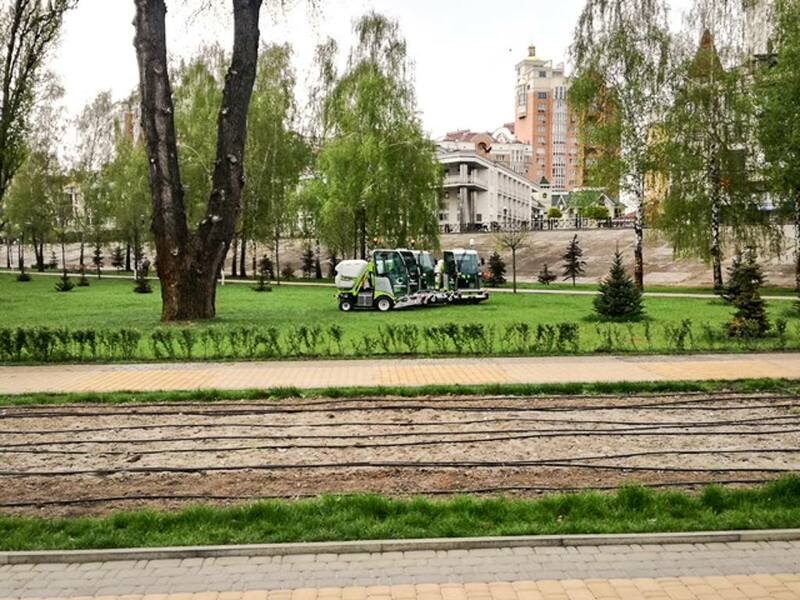 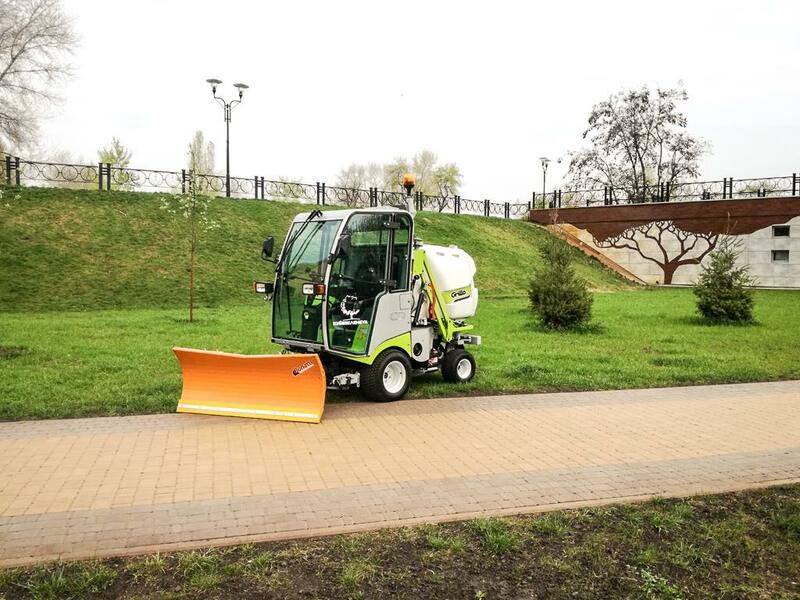 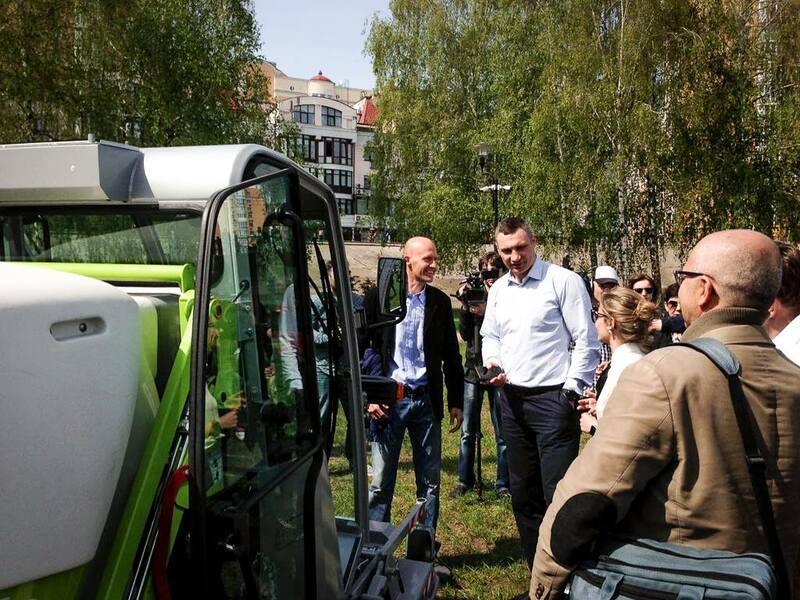 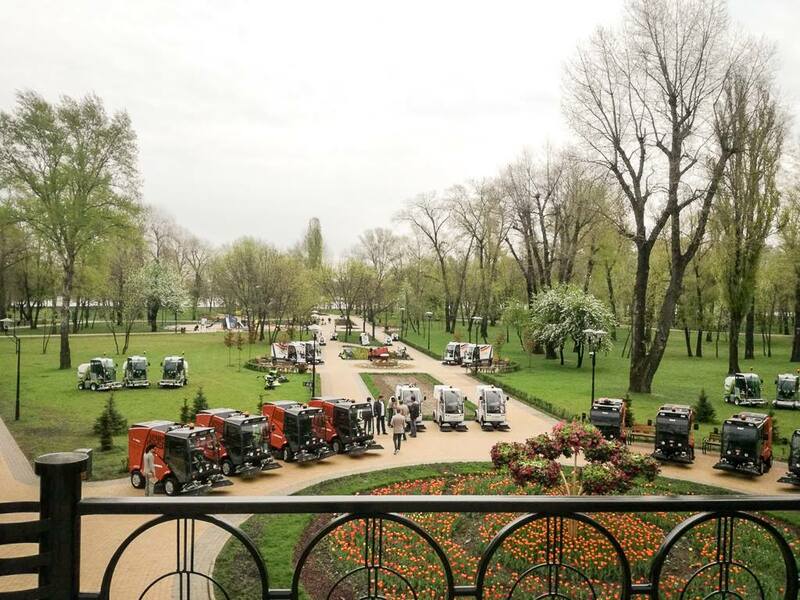 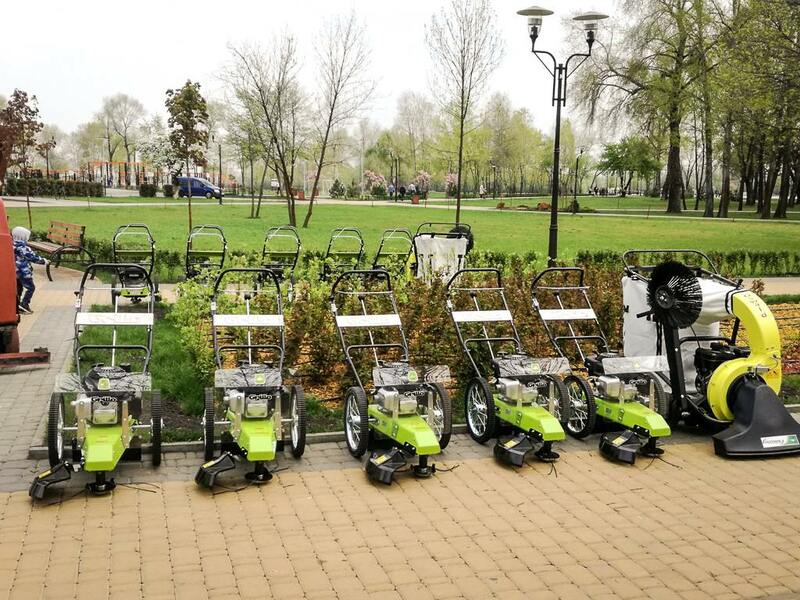 On 24th and 25th April the Grillo FD13.09, equipped for both gardening and winter maintenance, and the Grillo wheeled trimmer have been officially presented to the Kiev municipality (Ukraine). 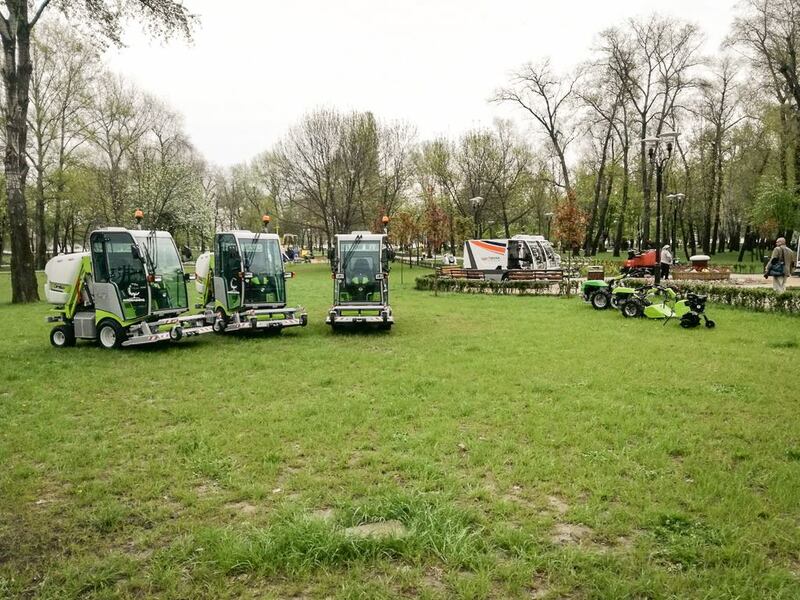 Our local distributor Tecnoprofservice (Skala) took the chance to display our broader machine range such as walking tractors, tillers etc. The ex box champion and now mayor of Kiev Vitali Klitschko, being interviewed in one of the pictures, attended the event where our machines were tested and used for demos. 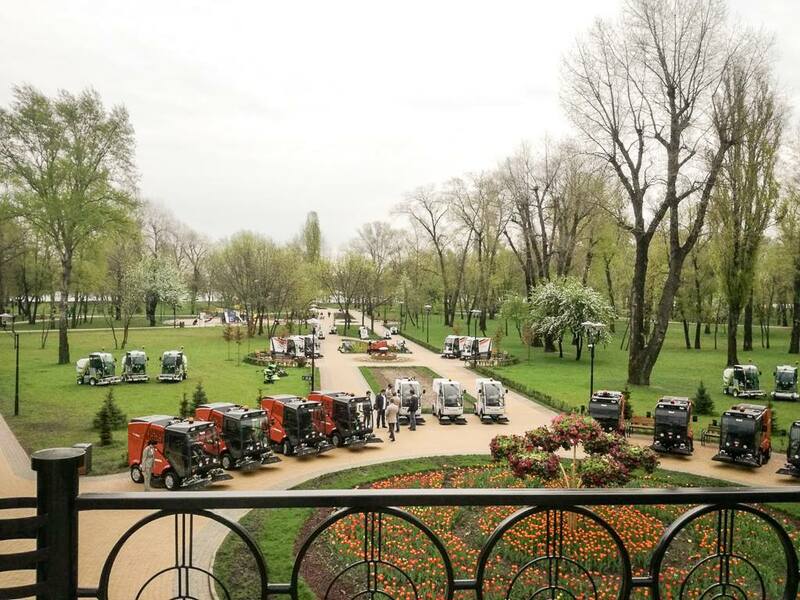 The whole organization of the event was carefully managed by our partner SKALA, that made a wonderful job. 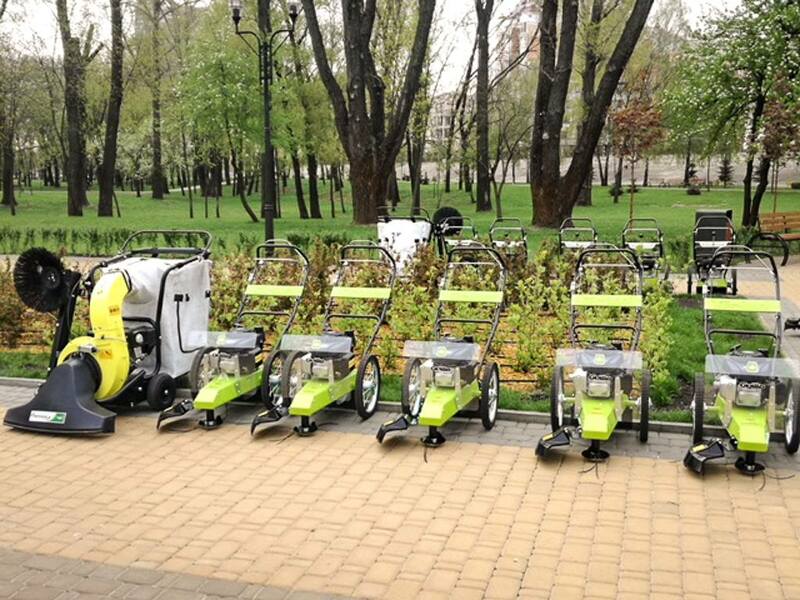 increase our presence in a growing market. 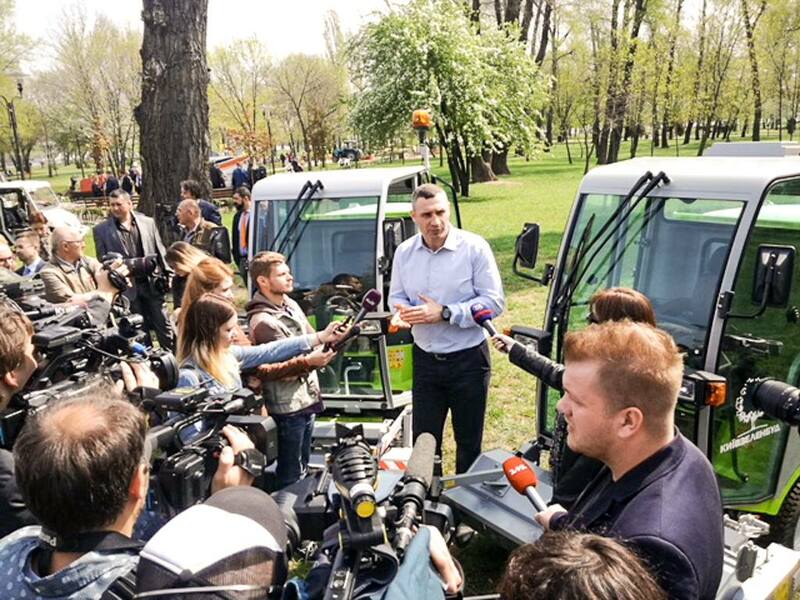 In addition there has been a considerable media coverage of the event resulting on articles published on local newspapers and magazines. 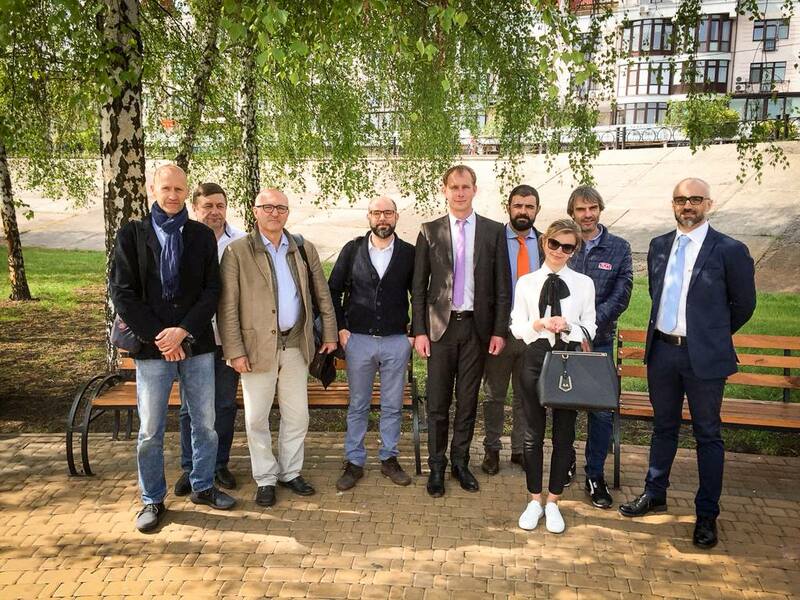 We warmly thank Mr. Anatolij and Mrs. Katerina from Skala for the successful organization of this event.